Never too late to enroll! This is a feed back from our graduates: “I am very happy with how the course has gone and feel a lot more confident to continue and progress in my current job. I feel my drawings have really improved and have a much better understanding of how to read other drawings. Valentin has been very supportive throughout the course. Thank you very much ! Liliana Leone and Luca Mazzarri graduated in architecture in Genova, in Italy, where they have been living since now. In 1988 they have founded their design workshop,archifax architect associates, starting by collaborating with the most famous companies in the furniture field, focusing on design and interior decoration of public spaces, and on advertising as well. They projected decoration for the most famous companies in design field, as Move, Berloni, Falegnami, Ciat, Fimes, Laurameroni, Nardi, Composit, Lema, Ferlea, Novamobili, Snaidero for which hey designed the Los Angeles showroom. 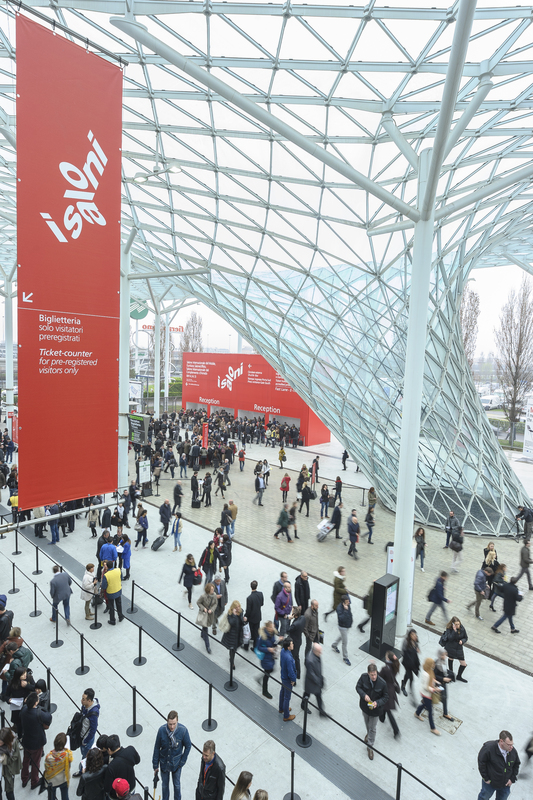 They are in charge of the main design show-fairs, like EUROCUCINE in Milan, in Paris, Colonia and Moskov, projecting stand and production places. 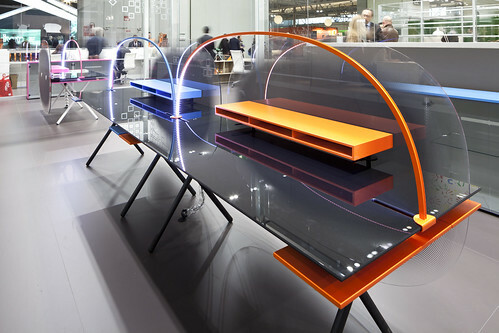 In 1995, during the International competition of ideas organized by the Eurocucine in Milan “Young & Design”, they have been awarded of the project of the bed “Altomare” by Firmes. In 1998 they attended, on invitation, to the the First Biennal of Design in Sant’Etienne, introducing some prototypes about containers and bed produced by “La Falegnami”.In 2004 they won the International Competition for the reshape of the “Chiavarina Chair” and in 2006, with the “Led Runner” lamp, they won the International Competition arranged by the Belgian company “Deltalight” for a new concept of Led illuminating body. They teach at the college of architecture in Genova, where they attended courses about design and communication workshop. 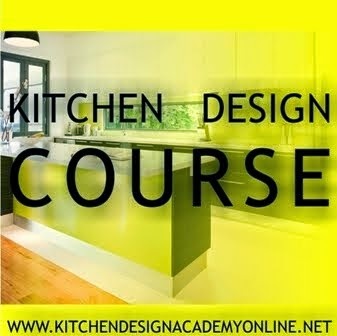 He designs kitchens for Composit Cucine Italy. The company was founded in 1925 in Caldogno with the name of its founder, Silvio Fortuna Senior , who resumed the business started by his great-grandfather in 1816 but stopped after a century because of the war. It is a workshop specializing in woodworking, with a vocation for quality. In 1960 the company became "Arclinea Kitchens", where Arc stands for Rational Modular Furniture and moves towards series production, leaving the size craft, dedicating all energy production kitchen furniture and assuming a precise positioning in the industry. Today Arclinea is a prestigious brand, internationally recognized, and has selected specialist outlets worldwide. 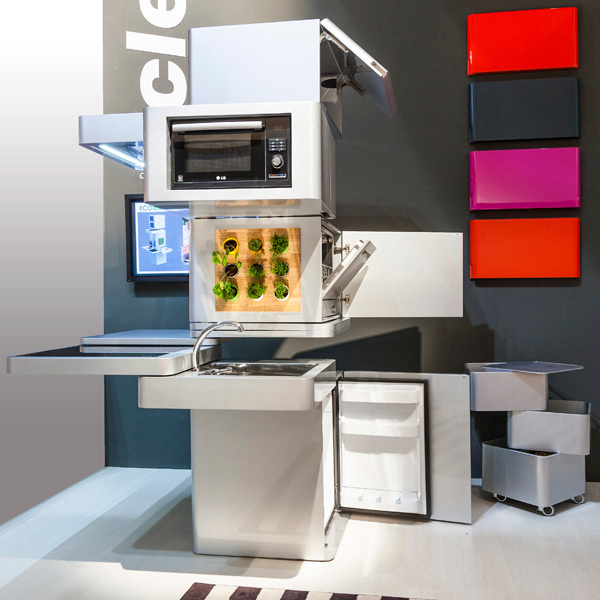 With Spatia the kitchen is increasingly the centre of the home. A kitchen that evolves and becomes discreet. Bringing a new angle to interiors, pushing living horizons to conceal its functions, Spatia elegantly and harmoniously suggests a modern landscape for the home. The main players of Lignum et Lapis are stone and wood: materials that enhance exclusive design and project creativity. Formal and technological research lies at the basis of islands, worktops and workbenches in stone: true physical industrial sculptures. Italia is a professional kitchen for the home, perfect for home chefs who want to experience restaurant-style performance within their own four walls. Italia has 3 possible compositions. Gamma by Arclinea is the totally modern kitchen concept that is now part of the Arclinea Collection, expanding the range and providing simple, flexible, clear answers to the most up-to-date, diverse design needs. It teams the primary values of Arclinea - quality, functionality, customisation and socialising - with a huge selection of finishes, almost unlimited potential combinations and a wide range of prices. Gamma has 5 possible compositions. Space crunch + kitchen has always equals to a compromised kitchen. Maybe Australian houses don't have this problem. 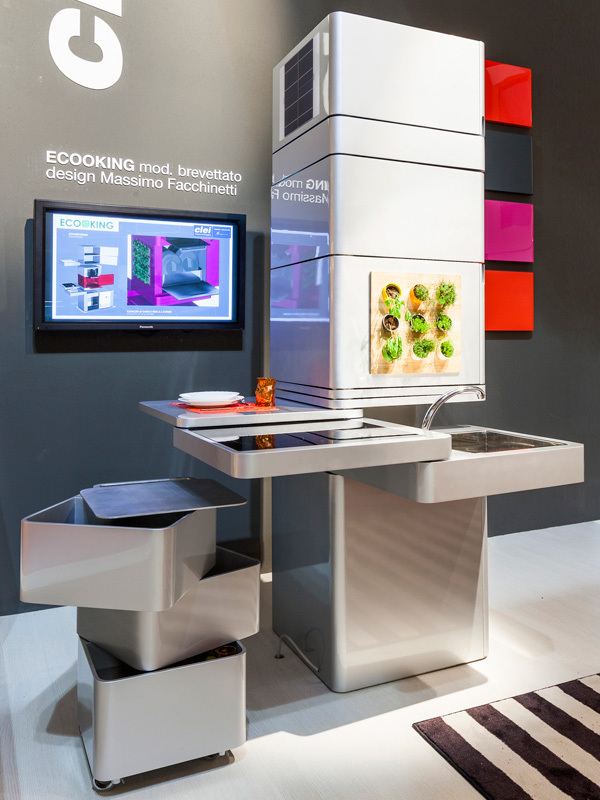 Realistically speaking, designer Massimo Facchinetti has nailed it with his Ecooking vertical kitchen. 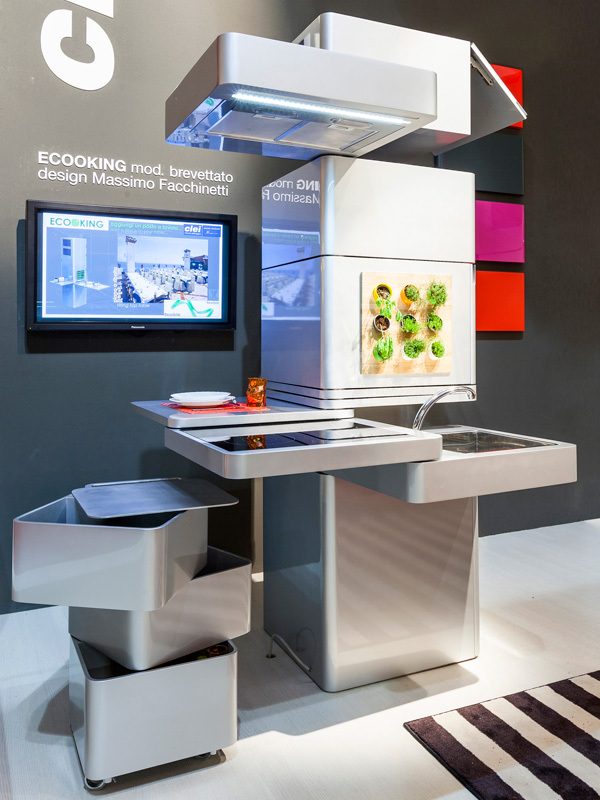 This single module kitchen is a hub for sustainable cooking. The technologies of the project highlight energy-saving systems, and come integrated with an internal retrieval of energy system. This is achieved thanks to the close proximity and interaction of appliances with each other and the exchange of heat and moisture. 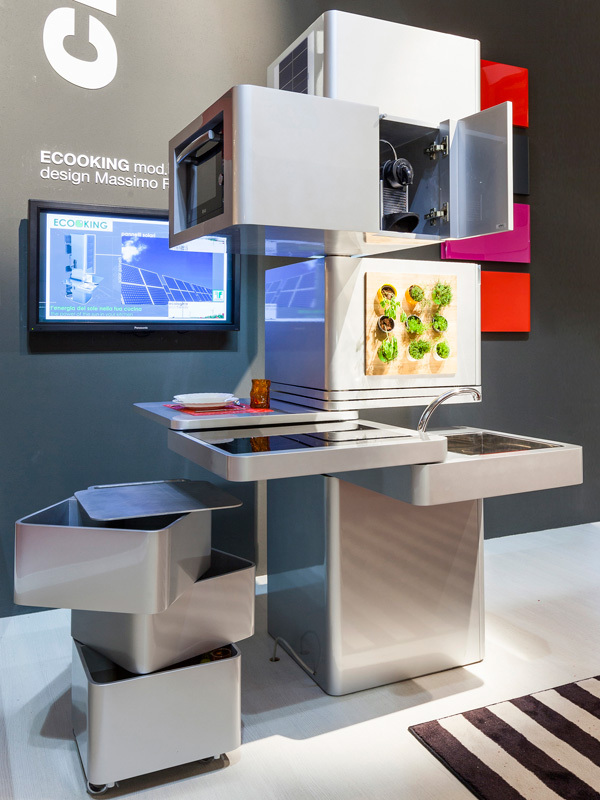 The electrical elements of the kitchen are powered by the energy produced by solar panels. On one side of the kitchen module there is placed a small vertical garden, which allows the cultivation of aromatic plants for daily use. The water coming from the sink is filtered and reused in the dishwasher; then undergoes a second filtering process and is used to water the plants in the vertical greenhouse. A retractable tap that disappears into the sink. Large refrigerator, an integrated cooking system (induction hob and microwave), systems for rinsing and washing (sink and dishwasher with adequate capacity). The rotating hood contains a light that follows you while operating around the column and softens in different shades at lunchtime and when using the extractable tables. In the hood the air treatment system, based on nanomaterials of titanium dioxide, it purifies the ambient air and is capable of purifying a medium sized room in a few hours. Perhaps the biggest lifestyle change since the turn of the 20th century and today has been in our relationship with interior space. While we are happy to live in open-plan spaces, our Victorian-era predecessors preferred to be closed in. Not surprisingly, homes from that time are a conglomeration of contained rooms designed to serve a sole purpose. The kitchen, for example, was just that, somewhere to prepare food. Nowadays it would be uncommon to find such a kitchen in a contemporary home, which is one of the reasons the owners of the featured property wanted to open their kitchen to the dining room, says architect Nicholas Murray. 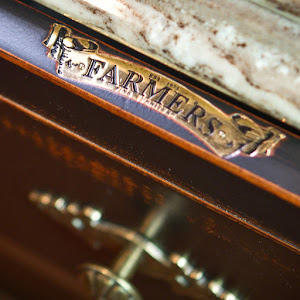 "The house is a freestanding Victorian home that was undergoing an extensive renovation and the owners wanted to create a connection between the kitchen and adjoining rooms. Murray lowered the original ceiling in this area to create a bulkhead to house air-conditioning services. A load-bearing column replaces the walls as a support for the ceiling and provides visual interest. The only other addition to the kitchen is an overhead display cabinet. "The idea for the cabinet actually came about after the space was opened up. The clients decided the space was too open and required an element that would add to the architectural styling of the kitchen without impeding the visual flow." The layout within the kitchen area has remained the same. Murray has even replaced an existing butcher's block with an island of the same dimensions. "The clients were happy with how the kitchen itself performed, so very few changes needed to be made within the space," says Murray. "Additional storage and bench space were sought: both have been addressed, and added amenity was also a consideration." Murray opted for an open pantry for ease of access, and the island – aside from providing extra storage – helps break the space into working zones. Two sinks add to the functionality of the kitchen. "The restrained material palette and minimal detailing help reinforce the sense of space – although at 20m2, the kitchen is far from small," says Murray. "The colour scheme was decided after the design was complete, and ties in nicely with the original features and modern styling." Created in 1974, EuroCucina - the International Kitchen Furniture Exhibition - runs concurrently with the International Bathroom Exhibition in the broader context of the Saloni during the even-numbered years at the Milan Fairgrounds in Rho, bringing together in the same place the top Italian and foreign manufacturers. 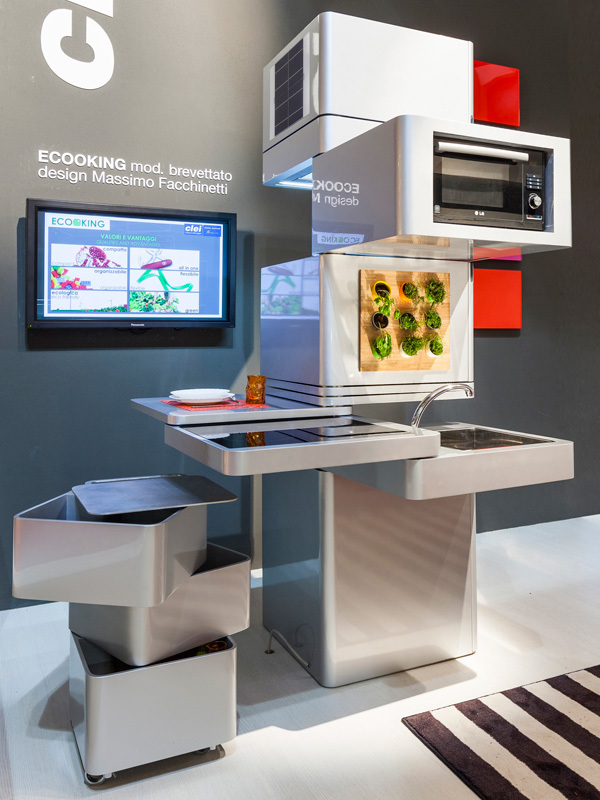 EuroCucina, with 160 exhibitors occupying over 26,000 square metres, is Europe's only major trade show in the field. Its success is also attested by the number of professional visitors - 292,370, more than 60% of whom from foreign nations - the 6,484 communication operators and the over 39,000 visitors from the general public. The next EuroCucina will be held from 8 to 13 April 2014. For the subtle mix of textures, for the way designer blends the kitchen into the room, for the edgy urban look brought to the whole space.